The symposia seem quite interesting to be mainly molecular/cellular in nature with a smattering of talks on behaviour or cognition. There is a nice mix of topics in the plenary lectures including ‘Reward, value and psychopathology’ delivered by Ray Dolan from London and ‘Adjusting brain circuits for learning and memory’ by Pico Caroni from Basel. All Neuroscience Ireland members qualify for FENS membership and can thus avail of the reduced members registration fee. Registration fees do not include abstract submission however so you will have to pay an extra supplemental fee if you wish to present a poster at the conference. 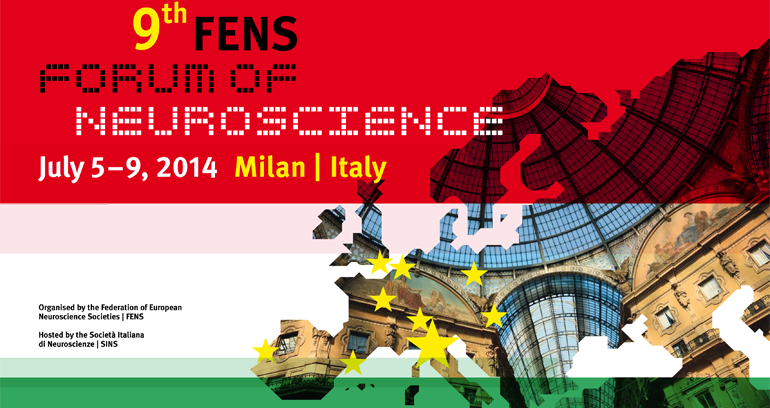 FENS 2014 is shaping up to be an interesting conference and is a well attended forum. It provides a great networking opportunity for those involved in research, be they academics or postgraduate students, and fosters communication and collaboration.